Chinese resident, Wu Xiangyang, has become the latest casualty to China’s harsh censorship regime. The entrepreneur ran his own VPN company, selling the products to thousands of businesses and individuals. The country has long been known for blacklisting websites and banning VPNs. However, this case marks an alarming change. While those prosecuted for VPN sales in the past have received a sentence of days to months, Wu is now facing five years in jail. Alongside this, he has been forced to hand over all of his profits since the business began – which adds up to a total of 500,000 Yuan. While this one event may be seen insignificant, in reality, it’s part of a much larger issue. Most social media platforms, including Facebook, YouTube, Twitter & Instagram. It’s not only this rigorous website censorship that restricts users. Search filters are also imposed that shut out results about sensitive topics, such as the 1989 Tiananmen Square massacre. The government has also made proxy software illegal, to deter residents from bypassing the blocks. Though the Great Firewall has been in place for many years, China has recently begun to amp up the heat on the policy. Earlier this year, officials from the Ministry of Industry and Information Technology announced a 14-month clean-up project. Their mission is to tighten the screws on what they refer to as ‘disorderly development’ fueled by internet platforms. The online assault will tackle several areas, including cloud-hosting, content-delivery systems, and virtual private networks. During the fourth annual World Internet Conference in Wuzhen, China made a bid for greater cyber-sovereignty. Alongside this, they provided an overview of upcoming changes in their internal cyber policy. Up until this point, the use of VPNs has been moderately overlooked by the Chinese Government. Due to the anonymity of the software, tracking users would be a significant task that they seemingly have not yet deemed worthwhile to undertake. However, by 2018 the software will face a complete ban, imposed and monitored by local telecom companies. The conference also spoke of harsher punishments for subverters, and this latest conviction suggests they are staying true to their promise. As China continues to grow as a superpower, these controversial decisions are more significant than ever before. China became the second largest global economy in 2010, behind the USA. It also is currently ranked the number one trading nation in the world. With a growing middle-class population, the 1.36 billion residents and an excess of disposable income have already made the country an attractive target for international business. As the Brexit vote and Trump’s election have created an uncertain future for the West, many online companies are opting to target China instead of the Western market. It’s clear that the Chinese government is aware of this growing influence, as their bid for greater cyber-sovereignty suggests. 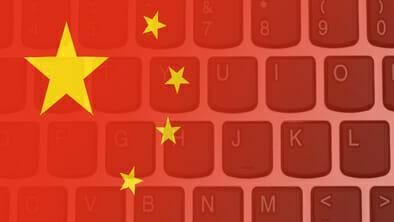 While many countries impose strict online regimes, none have such a sway on the global stage as China – making these recent developments even more alarming. We have already seen Apple cave to the demands to remove VPN software from the Chinese app store. If extreme sentences like Wu’s are the next step, what will it mean for the future of online freedom? It’s clear that the punishment did not match the crime, but does this set a dangerous precedent for global online freedom? As countries across the world reassess their policies on web use, due to the increasing instability caused by the rise in terrorism, our online future is not set in stone. VPNs, in particular, are under rising scrutiny by many governments and organizations. If superpowers like China are openly and harshly prosecuting those attempting to retain their freedom and privacy, it may validate this practice in other places. Already, law changes in Russia since 2012 have been incredibly reminiscent of the Great Firewall – e.g., permitting authorities to block content for a political purpose. Though we are yet to see severe prison sentences for VPN use elsewhere, the arrest of Wu Xiangyang marks the start of a new era in internet control – both for China and the rest of the world. Can You Still Use a VPN in China? If you live in or are visiting China, you may be alarmed by these developments. However, it’s not the time to forfeit your online safety yet. VPN software is incredibly hard to track – remember that Wu had been distributing the apps for many years before he was caught. A few extra safeguarding steps will help to protect you from detection. Make sure you buy the best VPN for China, to reduce the chance of downtime – i.e. when you lose connection to the server. Choose a provider with a strict no-logging policy, based outside of China or other countries with severe data retention laws. Purchase and configure your VPN outside of China and set it to auto-connect. By doing this, your connection will always appear to be coming from abroad. Research different ports and protocols to minimize the chance of detection by port filters. Stay updated on news and developments regarding China’s cyber policy. We are living in a changing world. Technology and the internet are developing at a faster pace than any other industry. Globally, governments are grappling to keep up with the progress. China’s tightening restrictions are a worrying development regarding internet freedom, but it’s not the first threat the online community has overcome – and we can bet that it won’t be the last! It seems like all VPNs are very risky to use in China, I wouldn’t! Hi, we understand the concern! China is notoriously aggressive in policing its citizens’ connection to the internet. A VPN is generally a good way to get around the country’s strict firewall, but it’s not always a silver bullet, and some services are better than others. In the end, the country does have an explicit policy that makes VPNs from overseas providers illegal, though it’s hard for them to police the companies themselves. However, if you’re concerned about your privacy and potential legal ramifications, the best person to make a decision about a VPN is you. If you feel the risk isn’t worth the reward, then you should follow your instincts. So which VPNs are guaranteed not to be blocked? I hear that a lot of them are being blocked now. Should I buy more than one VPN service before going to China just in case? Thank you for the great question! It’s difficult to make a solid guarantee when it comes to a situation that’s as fluid as cybersecurity and VPNs. However, there are VPNs that have been shown to work more effectively and with fewer drop-offs in service and quality. You can read our reviews here. We generally recommend ExpressVPN as our top choice, but the other alternatives on these lists make for great providers with reliable coverage. You can always enhance your VPN by using Tor or similar services if you’re concerned about your privacy. You can read more on how to connect your VPN to Tor here. I am traveling to China in a few weeks and I am glad I read this article. Will definitely look into getting a VPN before I travel there. Which ones have the best auto-connect feature? What happens if the server drops? Will China realize I am using a VPN? What would happen? Hi, and good luck on your travels! We recommend ExpressVPN as our top pick for users in China, as it has both strong security features and excellent speed. You can see our other top picks here, but most services will let you connect when you open the application, and some can connect on startup, though that is a feature you can enable directly on your devices. If you’re worried about a drop connection, many VPNs today offer a ‘kill switch’ which will sever your connection immediately, preventing you from being detected. Finally, we do have to note that China has been aggressive in attacking VPNs, and have noted they may move forward with an outright ban in 2018, though it’s still early to tell if words will turn into action. In any case, we recommend you learning more about local laws regarding censorship and web access to make sure you have all the information you need to make the best decision. Let us know how your experience is!